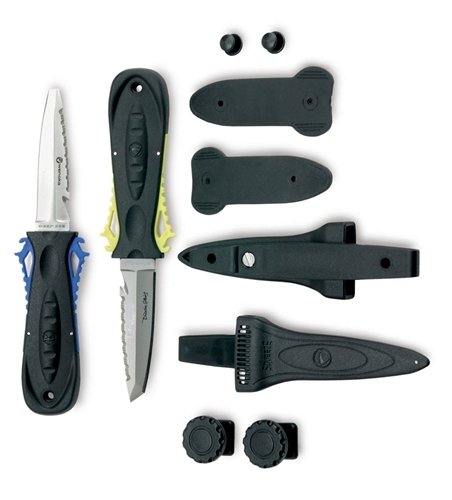 This compact knife features a secure locking mechanism that is activated by squeezing the handle; no more looking for a button or lever to push. One side of the blade has a plain edge, the other serrated. 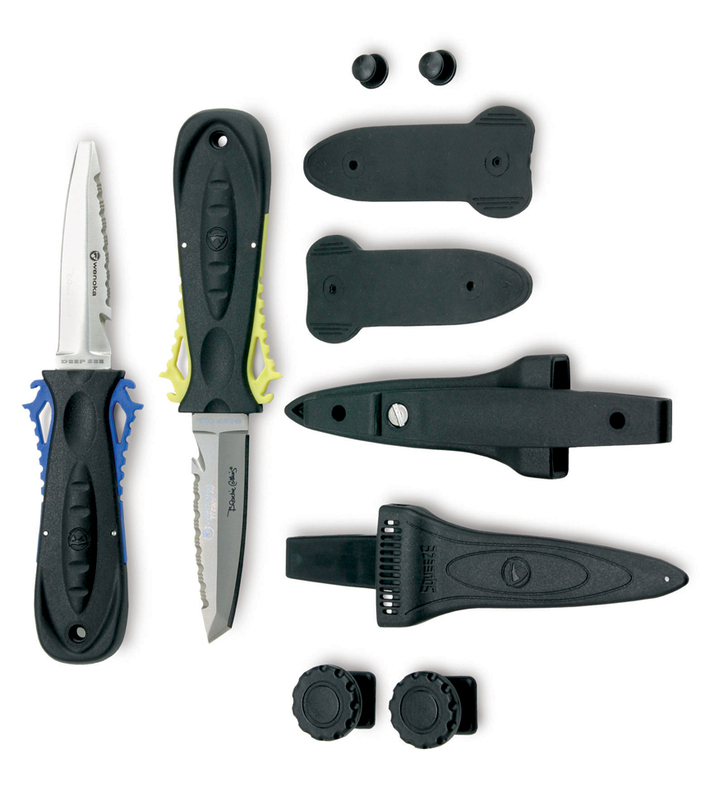 There’s a line cutter near the handle, and the versatile mounting system includes leg straps or a belt clip, either of which can be used to attach the sheath to your PFD. Blade is 304 Stainless Steel.